The NEW Black Magic DX Point hooks were put to the ultimate test this month. 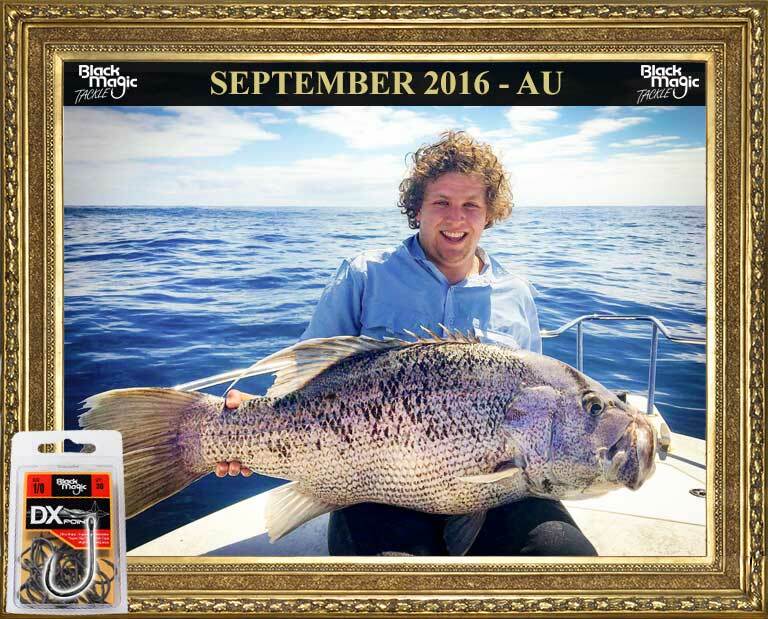 Dan Bullock from Bluewater Tackle World Morley in Western Australia was out fishing off Mindarie, WA with the new hooks, in size 1/0. He was targeting King George Whiting in 40m when his rod bent over and after a 15 minute fight up came this outstanding 21.5kg dhufish! Dan was amazed to see the spear point of the Black Magic DX Point 1/0 hook penetrated into the bone of the dhufish’s crushing plate and also hold up for 15 minutes without any bend. Well done Dan, this is truly an amazing catch and great proof of the penetration strength and ultimate durability of our new super hooks. Learn more about the NEW Black Magic DX Point hooks here.